Tourism is a priority sector in Oman, since its potential for growth and popularity has been recognized the world over. The country possesses amazing historic heritage, perfect environment, splendid folklore, and traditional industries like fishing, in addition to its natural beauty. All these tourist assets have given this country its own status on the travel map for the Middle East for decades, and now this great sea faring nation is all set to mystify the world. Before you get ready to visit any foreign land, it is crucial that you know how you can get around, thus is it helpful to have tips on traveling in Oman. Whether you enter the country by means of air, land or sea, it is very important to read up on Oman. This way you can make a list of things you want to do during your stay, you can plan your itinerary well, and know how you will be traveling to all the destinations you have in mind. There are a large number of websites on the Internet that provide all information about the country. You can even know about the weather conditions, activities, sightseeing, and dressing norms here to pack your bags accordingly. 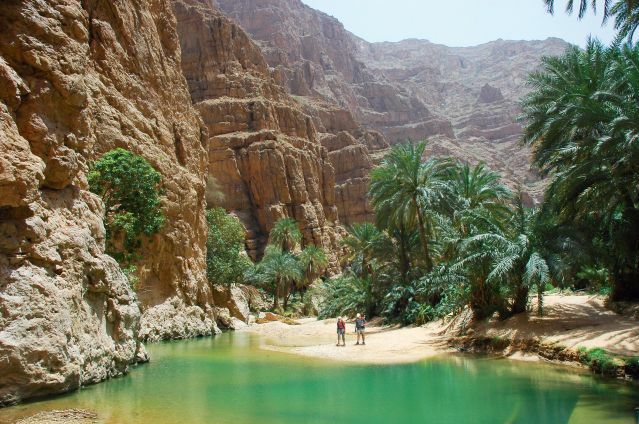 Internal travel in Oman can be undertaken by plane, bus, or rental car. If the places you want to visit are near Muscat or Salalah, there are regular flights between the two airports by the national carrier, Oman Air. To connect bigger cities in the country like Muscat, Sur, Nizwa, Sohar, and Salalah, there are daily bus services. Buses here are punctual and never crowded, providing inexpensive option of transportation. The state-owned bus service also has air-conditioned modern buses. Private or shared taxis are available in Oman, and are fairly cheap and convenient, but the best mode of transportation to explore the place is by renting a car. There are plenty of car rental companies in Oman. Most of them have offices at the airport as well. These companies are equipped to give you multiple options in type of car, brand, amenities, etc. If budget is not a concern to you, then a nice four wheel drive with GPS is advisable to explore the rough terrains of the country. No matter what mode of transportation you choose, traveling in Oman is a pleasure. The people are friendly and helpful, and who knows you might go back home with not just memories of adventure and sightseeing but even some memories of new found friends.